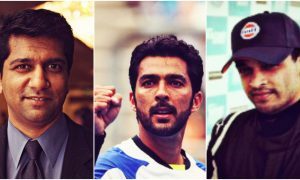 Parhlo: Who Are Qazi and Shoaib? I am Qazi Umair, a business graduate from Institute of Business Management, currently working on my dream startup called Sukoon.com.pk. Having a good 1 year experience in startups, I have gained some really strong insights of how a startup is built from scratch and what problems one faces when working for a startup. My passion is to do something that can make a difference in the lives of people. Being a Pakistani, I think it is our responsibility to work for the underprivileged workers and for anyone who needs our support. This motivated us to start our own enterprise, which we call Sukoon. What is Sukoon? Read more to find out. 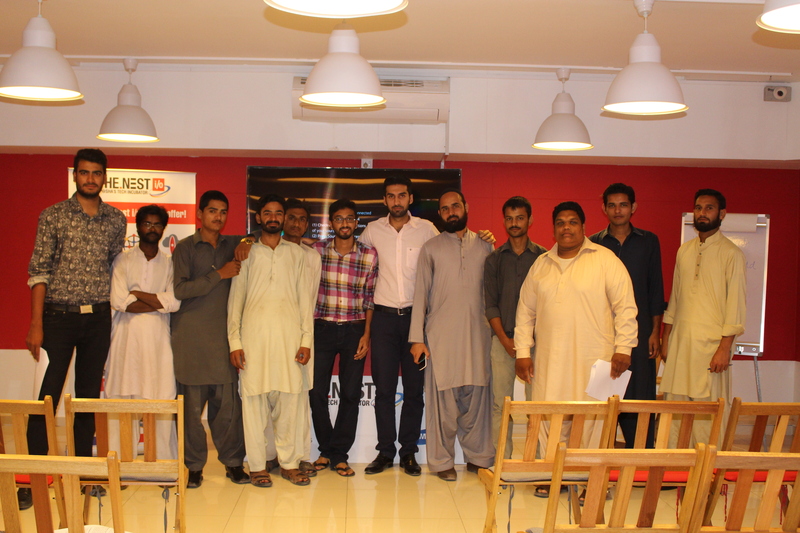 I am Shoaib Iqbal, a young entrepreneur by profession and a business graduate of IoBM, Karachi. I have always been driven by the passion to create an impact on the society and doing innovative things. Also known as the “Sales Animal” amongst my colleagues, person who is 100% born and brought up in Pakistan, I am on a mission of creating some great internet companies and social enterprises in Pakistan. I am an experienced ecommerce and startup professional which makes me the right fit for launching my own start up and turn it into a success story. I am the tough dude in the house who likes to get his hands dirty. Parhlo: Tell us about your initiative. 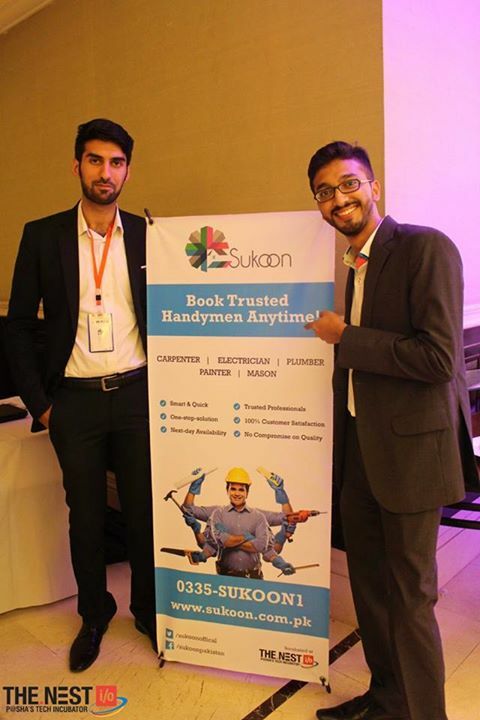 TS: sukoon.com.pk is an online platform to connect individuals looking for household services with top-quality, pre-screened and independent workers. 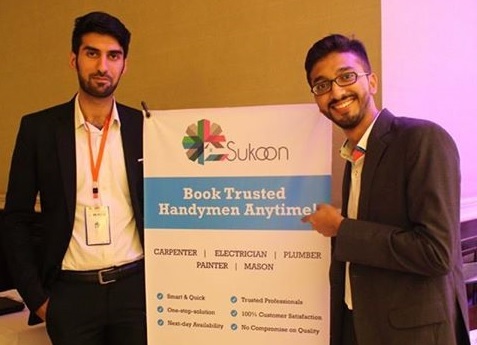 From electricians and painters to plumbers and carpenters, Sukoon instantly provides you the best, safest and affordable professionals at the touch of your fingertips. 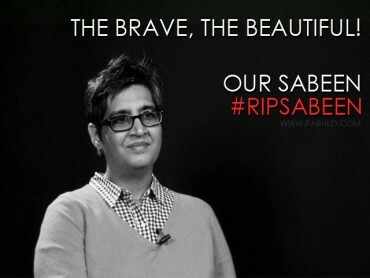 This kind of service has never been launched before in Pakistan. We take pride in taking this initiative to provide an online access to all the under privileged workers who earlier had geographical restrictions but through Sukoon the blue collar workers will now have a platform from where they can easily have access to provide household services anywhere in Karachi. We follow strict guidelines. Proper customer referencing, criminal verification and other sorts of background checks are undertaken to ensure the worker is the most reliable one. Sukoon not only provides convenience to the consumers in Karachi, it also brings the much-needed change in the lifestyle and living standard of all the workers who will work with us as independent contractors. Moreover, this will be a source of additional income for them and will also have a great impact on their lives. Needless to say, they will also become aware of the importance of the internet. 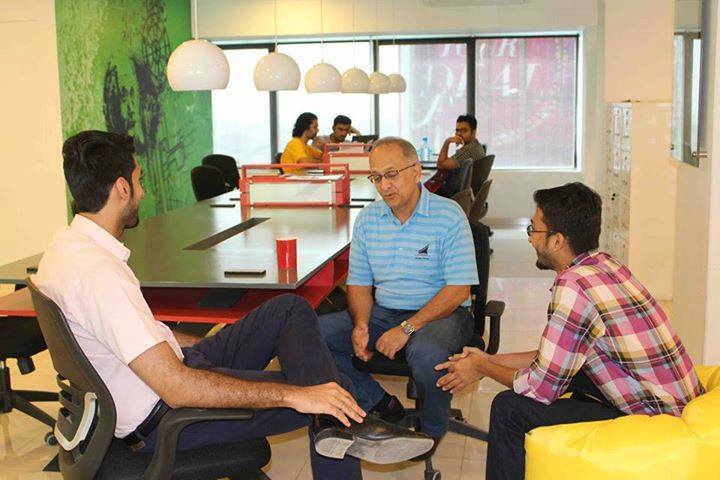 Team Sukoon with mentor Mr. Yousuf Jan.
Parhlo: What inspired you to come up with such an initiative? TS: As we know everything in today’s world is linked with the internet, as it gives us convenience, better options and saves time so we came up with this idea that how about we support these blue collar workers and build a portal where we can provide their services anywhere and everywhere in Karachi. The inspiration for us was the convenience that we get via internet. Everything seems so easy and convenient that we thought why not do something BIG for these blue collar underprivileged workers who are a great resource of our country but still are not appreciated or applauded for the services they provide us on daily basis. 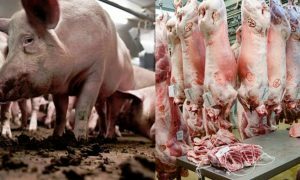 We wanted to help them, give them recognition through a channel that already existed i.e. Internet. 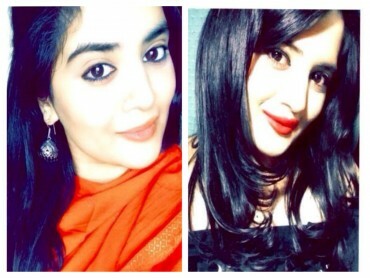 We combined both the ends and developed a portal, Sukoon.com.pk which is there to promote them and also provide convenience for the masses and appears to be a very viable business avenue as well. This is a win-win-win situation for the workers, customers and for us as well. Parhlo: How does your organization aim to make a difference? TS: We want to change the lives of the underprivileged yet tremendously skilled people. We also want them to know how internet and technology can play a big role in changing their lives in a positive manner. We want them to understand that the future is all about technology. If they are deprived from this blessing, they should make sure that their coming generations aren’t. We don’t only aim to change their lives but our main aim is to change the thinking process of their coming generations as well which is the future of Pakistan. Moreover, Sukoon not only provides a platform through which they can get jobs but it also makes sure that these workers are well trained in terms of communication so that they can talk confidently with their customers. 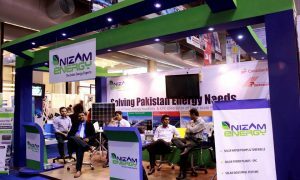 TS: Our aim is to go on national level and do something for the underprivileged workers all over Pakistan. 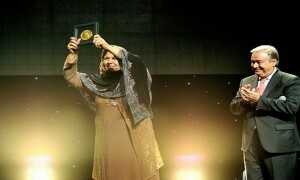 Pakistan is full of skillful workers and the talent is yet to be explored completely. Our aim is to explore, train and polish them and provide a one stop platform through which they can render their services. Currently we are only focusing on only few skills or you can say few technical areas but we have a lot in the pipeline. Moreover, we also aim to do something for the domestic workers who are striving hard day and night to earn a good living for their family and live a better life. Parhlo: What would be your ultimate goal for the youth around you? TS: The youth of Pakistan is very energetic and full of ideas and if guided properly, they can do wonders. Being a Pakistani, it is our responsibility to do something for the country and play an important role in its development. So our message to the youth is to play your part. No matter even if you are not appreciated by anyone. We do good for our own satisfaction and not for praises so let’s do something that can change, if not the whole country, our surroundings so that we can feel good about ourselves and feel satisfied that being a responsible citizen we have played our part and will continue to do it. TS: Just focus and believe in yourself. You’ll come across a lot of people who will discourage and mislead you. They might not believe in you or your idea but if you believe in your idea completely and you think it can do well for you or for the society then stick to it. Stay focused because it is something that keeps you motivated and will take you to the right direction. And of course hard-work, remember, it ALWAYS pays off.